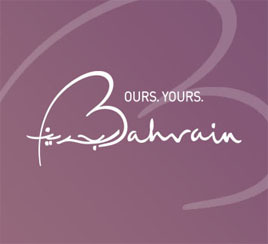 The Chief Executive Officer of Bahrain Tourism and Exhibitions Authority, H.E. Shaikh Khaled bin Humood Al Khalifa, received a Japanese delegation headed by the Special Assistant to the Minister of Foreign Affairs and Ambassador to the Gulf Cooperation Council and the Gulf region and Special Envoy for World Expo 2025 2025 Osaka Kansai Japan, H.E. Mr. Shigeru Endo and the Ambassador of Japan to the Kingdom of Bahrain, Mr. Hideki Ito, and the Special Envoy for World Expo 2025, Japan, H.E. Mr. Shigeru Endo, on the 11th of July 2018. The meeting reviewed the mechanisms of enhancing relations between the private sector in the Kingdom of Bahrain and Japan. Topics related to the World Expo 2025, which will be held between the 3rd of May and the 3rd of November 2025, were also discussed. During the meeting, H.E Shaikh Khaled bin Humood Al Khalifa mentioned the BTEA’s readiness to strengthen bilateral relations and work towards achieving their joint goals through adopting initiatives that will benefit both countries. The guests expressed their gratitude for the warm welcome and affirmed their readiness to enhance the joint cooperation between the two countries and to further explore bilateral initiatives. Expo is a major international event, held every five years since the 19th century. Since its launch in 1851, it has recognized individuals’ achievements and embraced creativity.